1. 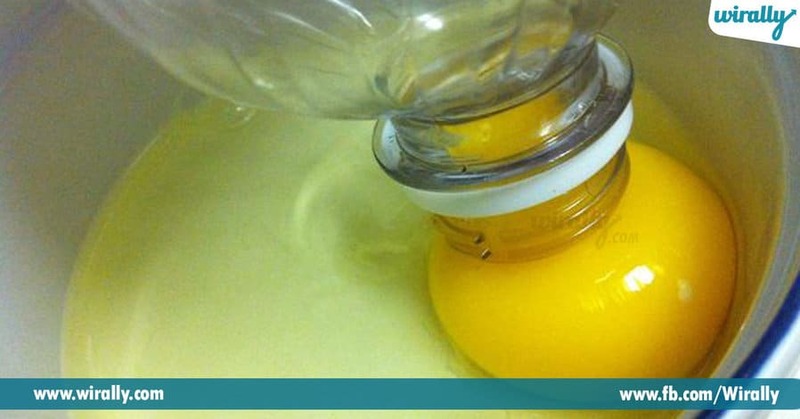 Use an empty bottle to separate the egg white and yellow. 2. 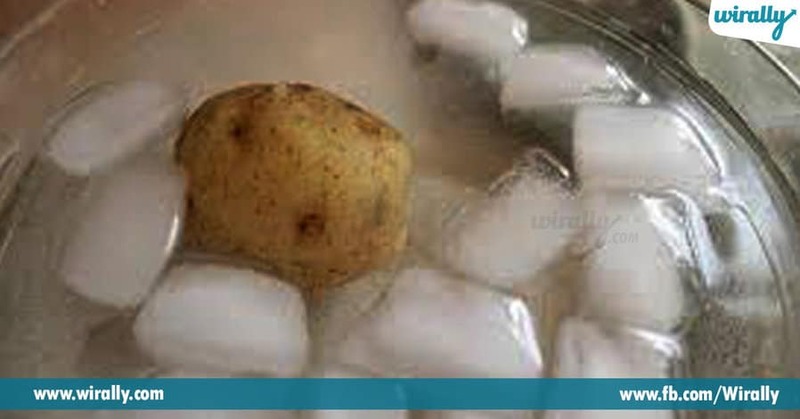 Boiled potatoes ni easy ga peel cheyadaniki, first koncham slight ga cut chesi, cold water lo petali. 3. 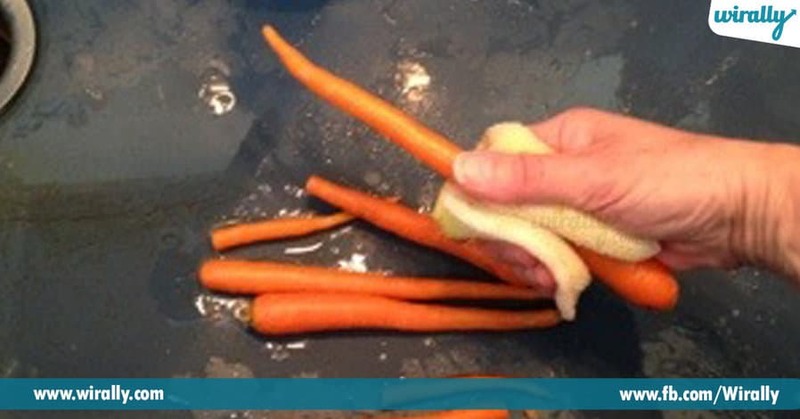 Carrots ni easy ga peel cheyadaniki rub it with a scrubber. 4. 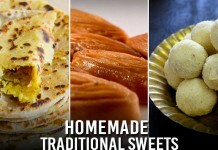 Knifes ni sharp cheyadaniki, oka glass of rice reverse lo dip chesi store cheyali. 5. 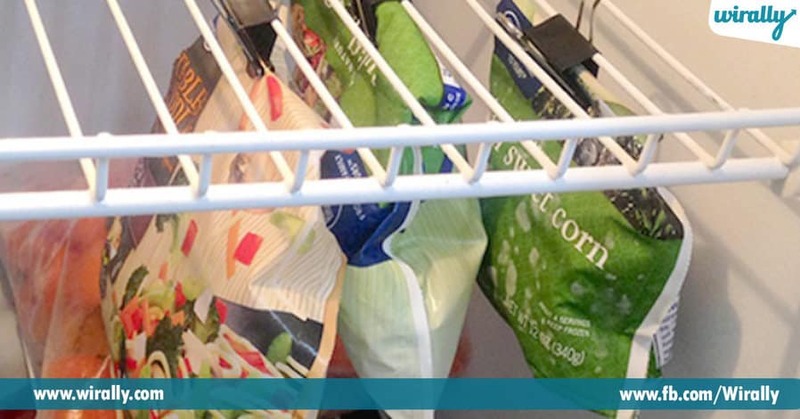 Use binder clips to hang opened packets in the freezer. 6. 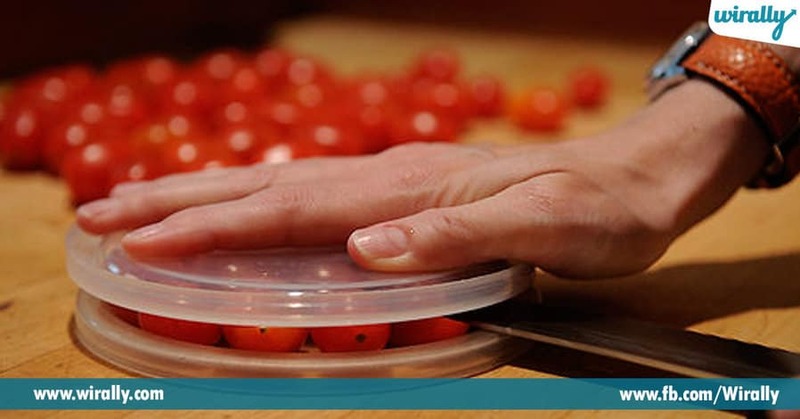 Place your cherry tomatoes or grapes in between two flat plates. 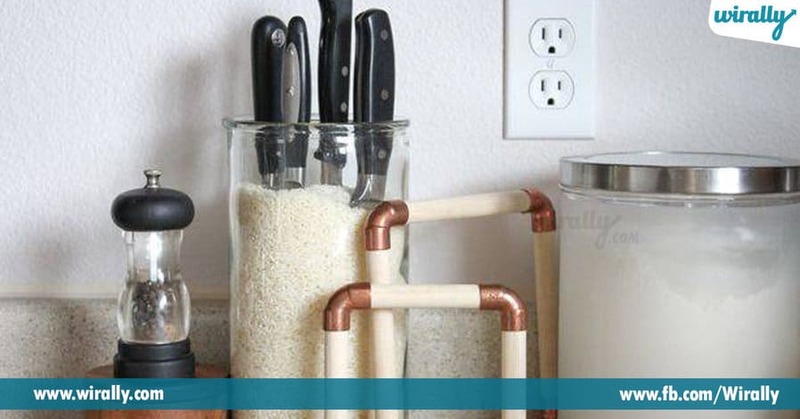 Just slide your knife right through! Perfectly halved fruits. 7. 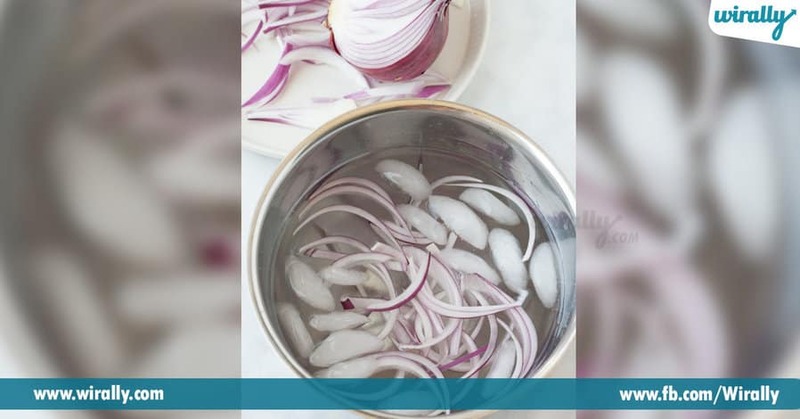 Onions cut chesetappudu, either switch on a cooling fan or chew on some gum or dip onions in water. 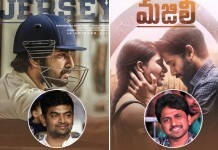 Ila chestey onions cut chesetapudu tears rakunda untayi. 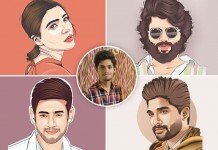 Allu Arjun’s Sarrainodu Teaser Is Pretty Dope Stuff..! !